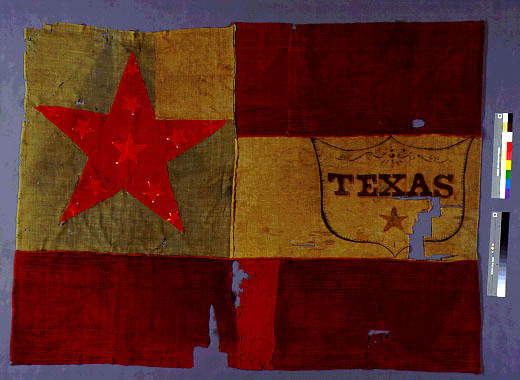 Above are four Texas Confederate battle flags from the Texas State Archives. Truth is, the thousands of fine, brave Texans who fought and died in the Civil War did not fly the red, white and blue stars and bars of the south into battle. They did not fight to keep their slaves because few owned slaves. Texans joined the Confederate cause and fought and died in most of the major battles of the war. They fought and died because they felt threatened by the Federal Government and the election of Abraham Lincoln. I just can't put Sherman and his terroristic treatment of non-combatants in your "good guy" class. If so, I guess you must class Robert E. Lee as a "bad guy". If we are going to remove Lee's honorable name from our schools, then why not do the same for Jeff Davis County or Robert Lee Texas? I just think this good guy business is an overly simplistic and convenient twisting of history.